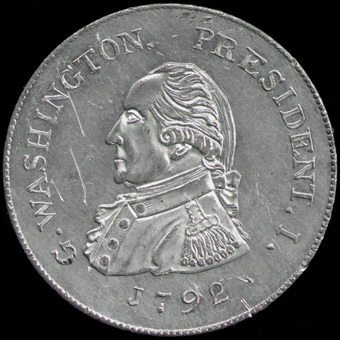 Reverse: . UNITED STATES OF AMERICA . 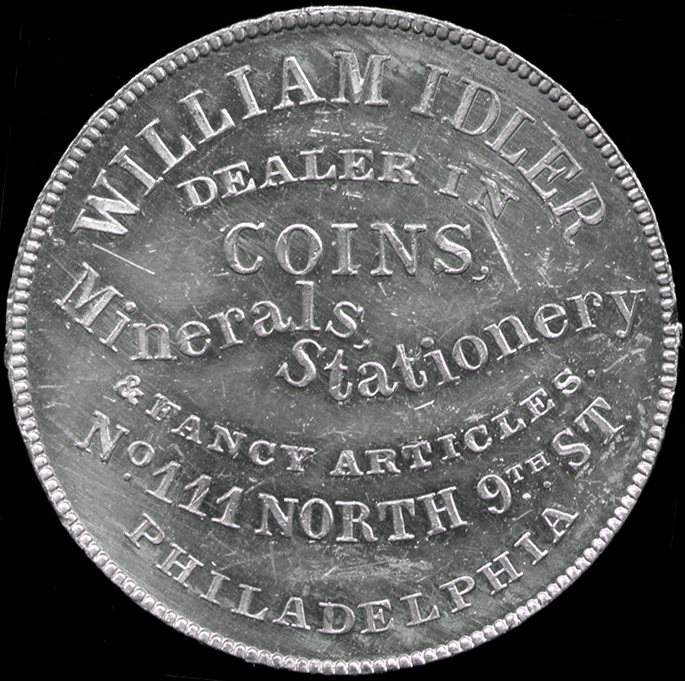 Comments: This is the white metal version of Idler's storecard token, which was also produced in silver, copper and brass. This specemin has scratches most noticable on the obverse. Idler made two versions of this storecard, one with the obverse of the Getz coin and another using the Getz reverse. 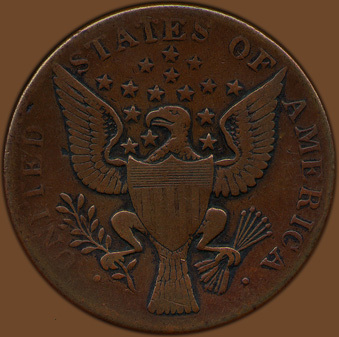 See R. Rulau, Standard Catalog of United States Tokens 1700-1900 Iola, Wi: Krause, 2nd. ed. 1997, pp. 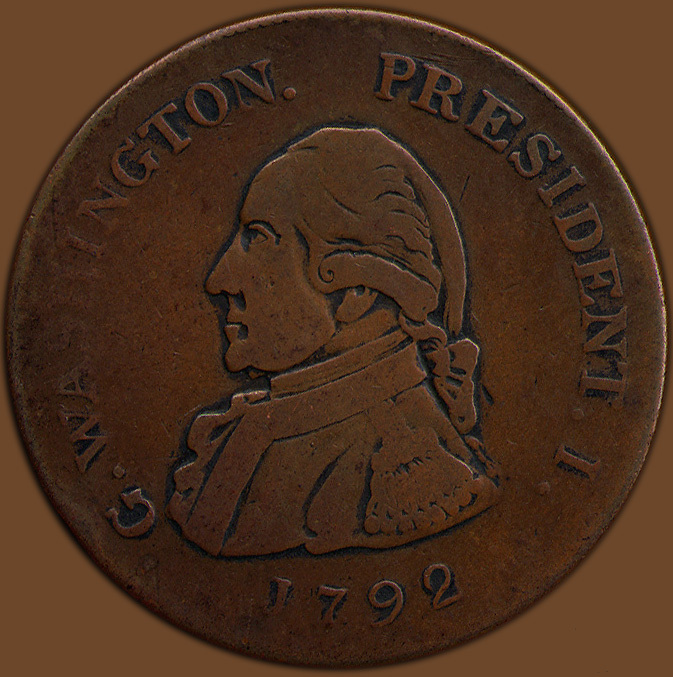 282-283 and Rulau and Fuld, Medallic Portraits of Washington, (Baker 544) p. 270. Provenance: Anonymous donation to Notre Dame as part of a 1,100 item collection of 19th century U.S. tokens.